Stylish take on a traditional vintage 1925 Ferndale home. You will be greeted by new landscaping as you approach, take a moment to enjoy the covered front sitting porch. Notice details like the new front entry door and light fixture, enter to a lg LR w/gorgeous dark finish oak floors, fresh neutral wall colors, an original wood burning fireplace, formal DR w/recessed lighting. Kitchen has been opened up and renovated with subway tile back splash, granite counters, and double oven stove. Upstairs there are 3 bedrooms & a fully renovated full bath with subway tile and new fixtures. 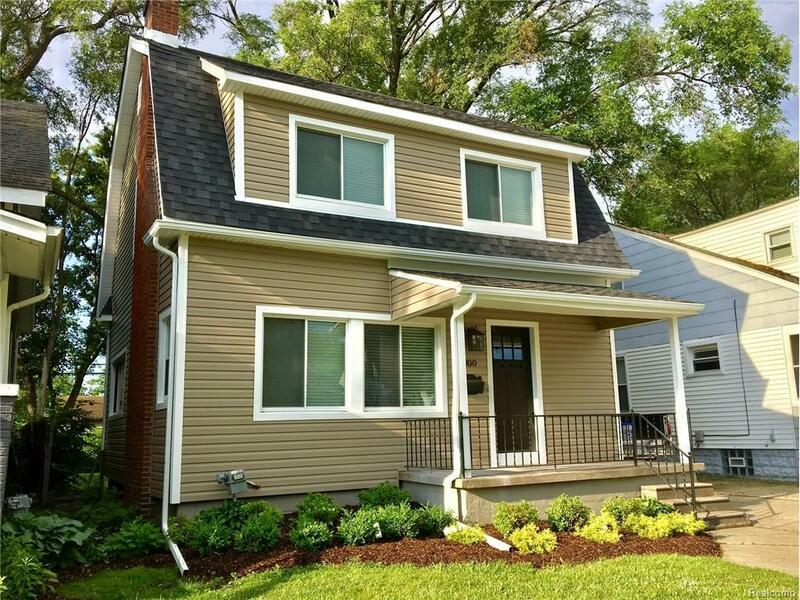 This home also boasts new siding, new windows, new roof, updated plumbing & electric, new interior doors & trim. There is a patio in the yard and a shed for your stuff too! Enjoy downtown Ferndale Shops & festivals. Make home here.